The advanced extruder technology in the Apium P series enables the processing of reinforced, compound, and functional materials. Any materials containing high proportions of carbon fiber or glass fiber process just as smooth as standard thanks to the machine's Advanced extruder technology. The P series supports a wide variety of amorphous and semi-crystalline thermoplastics from ABS, PP, POM-C, PVDF, PEI, PEEK, Carbon Reinforced PEEK to metal containing compounds such as Stainless Steel (316L). Print cores are specially designed for high performance materials in relatively extreme operating environments. Patented intelligent thermal moderator technology help succesfully achieve optimal distribution of temperature catering to material specific needs. The insulated building chamber continously stabilise the process temperature during the printing process for the best results every time. Get high quality results and readiness in industry applications with integrated tool path and parameter optimisation. Tested material profiles are available for users to save time and most importantly material, promising the most optimised parameters for even the trickiest materials. The system running on the Apium P220 recognizes the material type and tracks the amount used. 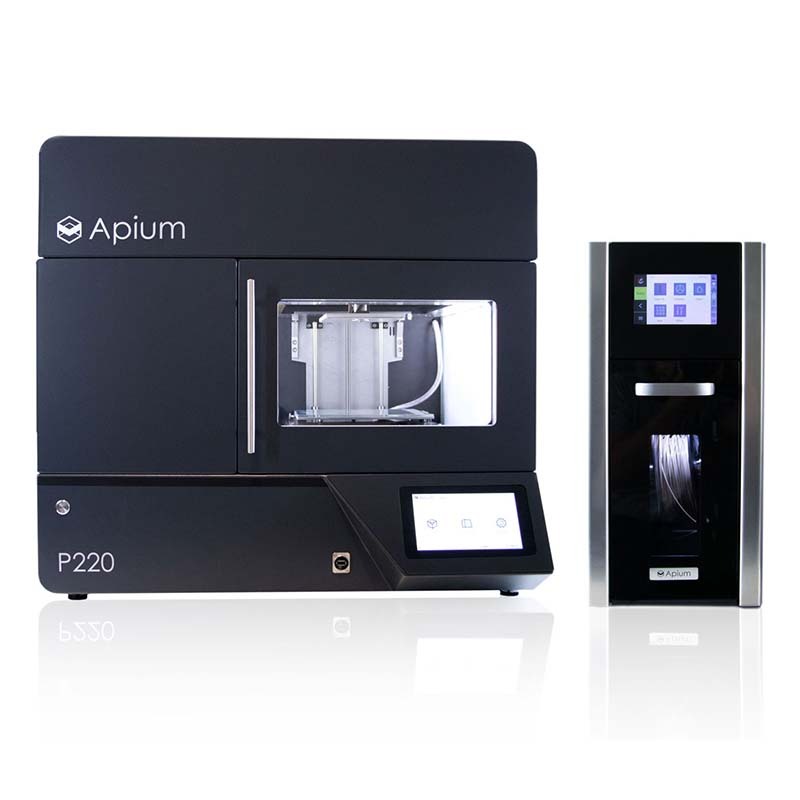 When the Apium P220 identifies that an Apium material is loaded, it automatically adjusts the settings according to Apium`s material profile and allows you to use the optimal process parameters for high quality results. With every purchase, iMakr offers premium online and telephone support as well as in-depth training on site so we can ensure you are getting the most out of your printer to drive business. If there's a mechanical issue with your printer, our team of engineers will identify and determine the cause and solution as quickly as possible to get you and your team back in business. Apium machines bring users to a gateway between conventional manufacturing and additive manufacturing. Gain sustainable competitive advantage by using Apium`s industrial 3D printers for processing advanced polymers with voxel level control on material characteristics. Go forth with the confidence in the industry grade motion components and closed loop drive system for the highest high-temp processing. 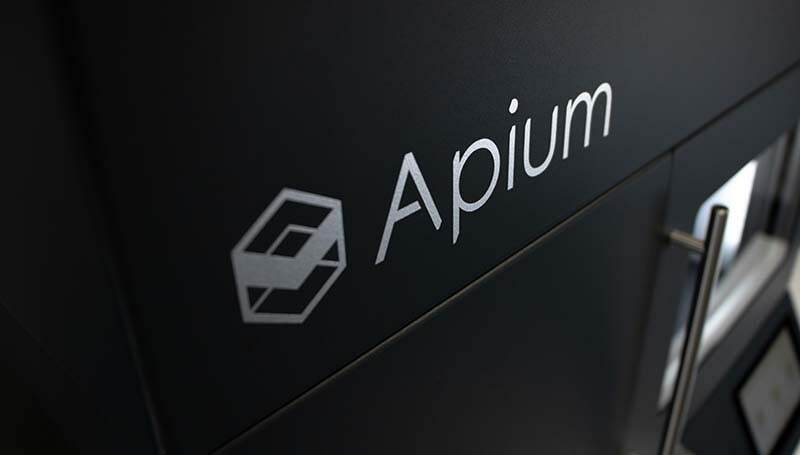 Apium's focus and the development of high-performance materials guarantees that our 3D printers are developed in the meaning of their materials.The compatibility and purity with high dimensional tolerances of materials and the high performance of machines, make Apium a leading PEEK 3D printing brand. Resiliant and strong, PEEK 450 from APIUM shows an excellent combination of strength, durability, and thermal resistance. Its a lightweight material allowing for the reduction overall part weight. Industries: Aerospace, Automotive, Oil & Gas, Medical, Electronics. Carbon reinforced fiber PEEK has an improved properties that allow users to make-use of this material's high thermal managment and strength. Industries: Aerospace, Automotive, Electronics, Oil & Gas. Excellent flame retardancy, high strength, and chemical resistance make this filament attractive to users at a low cost. Relatively simiair to PEEK but with lower thermal resistance and impact strength. Industries: Aerospace, Automotive, Electronics. This co-polymer is resistant to high impact and fatigue, while maintaining a lighter weight. It is often used as a replacement for metal materials. Industries: Aerospace, Automotive, Electronics, Oil & Gas. The Apium Filament Dryer is a fundamental accessory for printing technical polymers like PEEK and Polycarbonates. Its thermally insulated walls guarantee printing stability and significantly increase high-quality results.